Ever wondered how those beautiful loomed hatbands, chokers and bracelets are finished? These detailed full color instructions will tell you how to create a professional finish on your loom work. Instructions also provide for making the items adjustable to size. 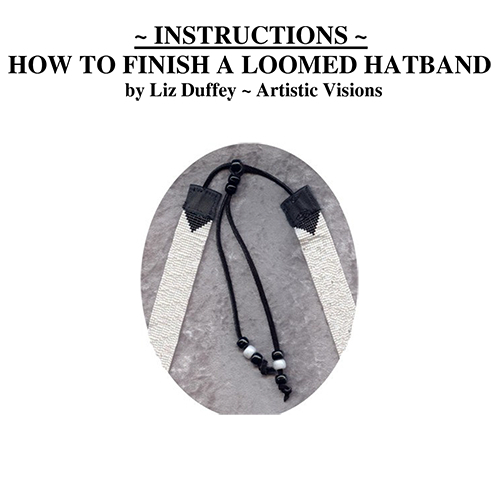 If you purchase any of my hatband patterns, these instructions are included with the pattern. These "stand alone" instructions are for those that don't want or need a design chart. Great way to finish off those Christmas gifts!